As the human capital management aspect of business is changing in our economy, learning new skills, methodologies and tricks of the trade are the best way to stay in the know. Look at your bookshelf and take stock of how many current publications you have on the business you perform every day. What was the last HR book you read? Who wrote it, and do the ideas presented fall in line with what is going on in the current HR climate? Probably not! 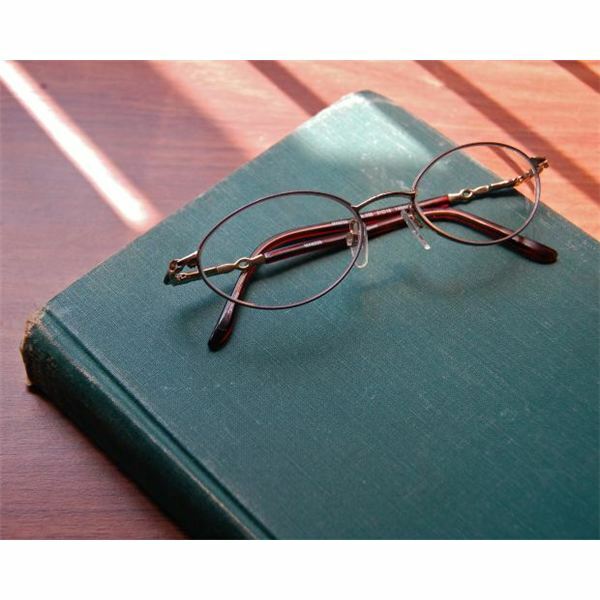 Well, let’s get motivated and get reading because here are ten great books HR managers love and for good reason. Written by seasoned professionals from all types of organizations, there is something for every HR guru out there and then some, so let’s get started. Most of us love a straight forward and no-nonsense method of dealing with problems and that is what you get with The Manager’s Guide to HR: Hiring, Firing, Performance Evaluations, Documentation, Benefits and Everything Else You Need to Know by Max Muller. This systematic guide is a road map to handling the most important functions of the HR role. Muller provides methods that are easily applicable to all types of organizations, from small businesses to large conglomerates. Given the amount of content in this book, it is an easy read. It flows nicely from one subject to another, providing the reader with precise information about a myriad of topics including sexual harassment and employment law. The best part is it won’t collect dusk because it will be the perfect go-to guide. Knowing how to deal with an issue before, during and after it arises takes many years of practice. The Essential HR Handbook: A Quick and Handy Resource for Any Manager or HR Professional by Sharon Armstrong and Barbara Mitchell makes the process easier by giving you the essentials up front. Written by experienced human resource professionals, the authors use a coaching approach to their methodology,. This technique is an asset in organizations that employ many different types of employees, such as multi-generational. To develop employees from day one and all the way through the ups and downs of their employment career, use The Essential HR Handbook as one of the tools you need to build an HR culture based on skill, experience and practical advice. Everyone has questions about how to do their job better. The HR Answer Book: An Indispensable Guide for Managers and Human Resource Professionals by Shaun Smith and Rebecca Mazin answers more than two hundred questions that employers and HR managers deal with on recruitment, compensation and discipline among many other topics. This book is a great reference guide with a resource and appendix that can be used on a daily basis or for research purposes. 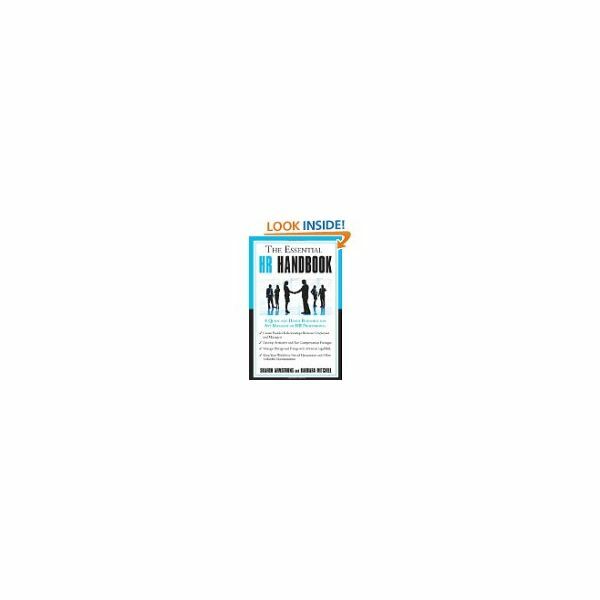 One of the best aspects of this book is that you can understand and utilize the concepts whether you are new to HR or a seasoned professional. To whom do you when you’re right on the cusp of making a career breakthrough and need answers to questions that reoccur? That is where this book comes in. Author Alan Collins becomes your HR fairy godfather with Best Kept HR Secrets: 400 Most Powerful Tips for Thriving at Work, Making Yourself Indispensable & Attaining Outrageous Success in Human Resources. As the title suggests, there are hundreds of tips and methods for getting through the tough questions and learning to make your own brand in the ever-evolving field of human resources. HR bridges the gap between the wants, needs and desires of employees, such as work life balance, employment law and benefits. 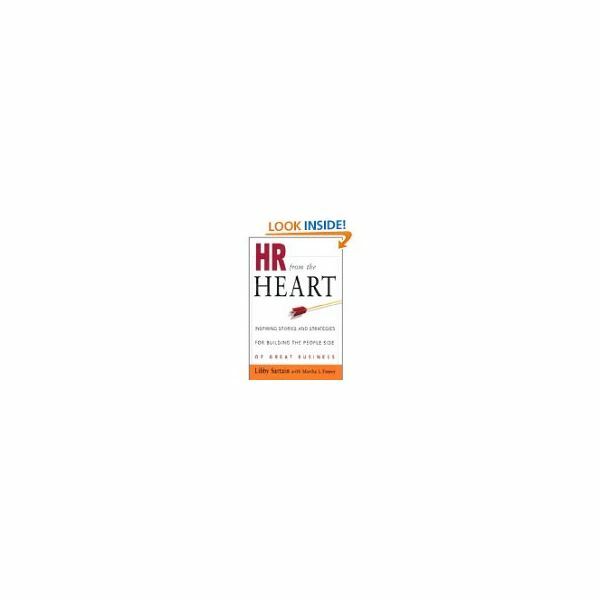 HR from the Heart: Inspiring Stories and Strategies for Building the People Side of Great Business, by Libby Sartain and Martha Finney was written to keep HR professionals motivated by showing the real human side of the business. The stories in this book bring you back to the basics of why you are in this industry and how it benefits the manager from both sides of the desk. Here is another no-nonsense, straightforward approach to advice for new and seasoned professionals in the human resources industry. Alan Collins sharpens his focus on this topic with Unwritten Rules: 21 Secrets for Attaining Awesome Career Success in Human Resources. By adding a range of topics such as social media, networking strategies and new ways to advance in your career, Collins spells it out without wasting time and hits the nail on the head with many of his tips and observations. If you are new to the field of human resources or just starting your own small business, this is the book for you. A great starter guide, Human Resource Essentials: Your Guide to Starting and Running the HR Function, provides a basic overview of what is needed to make a strong start in this career. Author Lin Grensing-Pophal includes real world case studies that address pressing topics in HR in addition to a FAQ section that I’ve heard referenced at a major industry conference event. There are many “essential" HR books on the market, but this one is well written and very thorough. How often do leaders of any given field come together for one great reference book? Okay, it happens every now and then, but for human resources, this is rare. 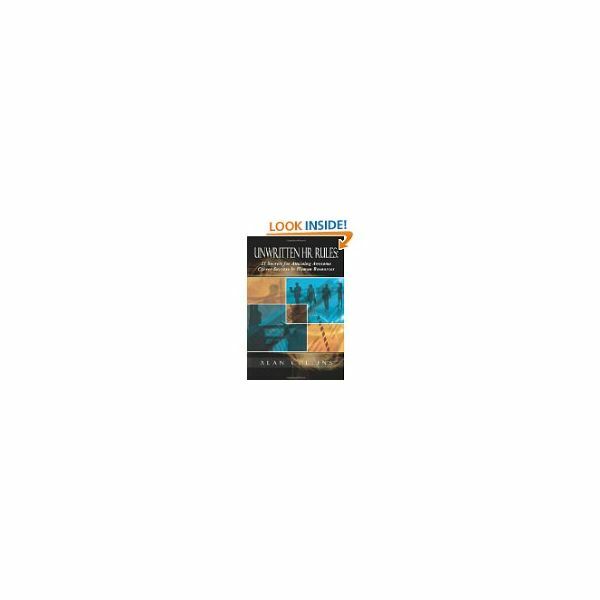 Authors Mike Losey, Dave Ulrich and Sue Meisinger compiled sixty-four of the most successful leaders in HR to discuss and examine the most important issues in human resources today. The Future of Human Resource Management: 64 Thought Leaders Explore the Critical HR Issues of Today and Tomorrow, gets to the heart of creating and adapting organizational culture, the effects of globalization and the challenges of managing and understanding people in the business environment. 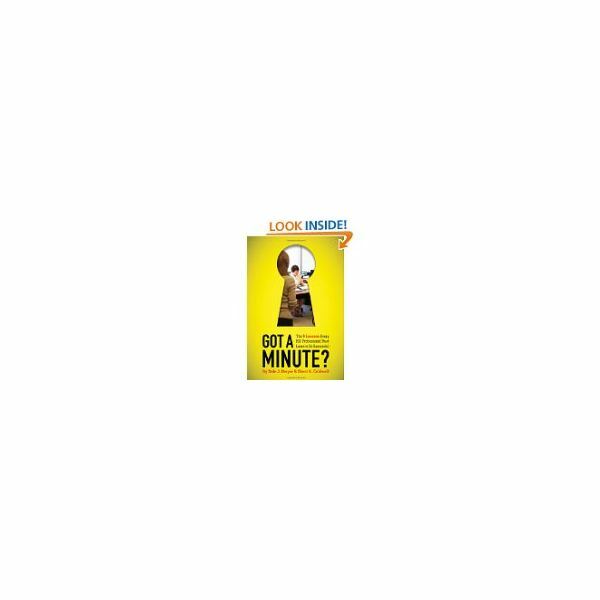 Authors Dr. Dale Dwyer and Sheri Caldwell use a novel approach in Got a Minute? The 9 Lessons Every HR Professional Must Learn to Be Successful to discuss the challenges employers have with employees across the board. Using real life interesting and entertaining stories, Got a Minute? will give you methods for managing ethical and legal issues that create a fine line between having happy and disgruntled employees in all types of business situations. We have all seen this: co-workers dressed inappropriately, offensive behavior, hostility and clique-type gossip groups that cling together at the office. How do managers handle these issues when they become disruptive to everyone else on the job? This and other questions like it are addressed in 101 Tough Conversations to Have with Employees: A Manager’s Guide to Addressing Performance, Conduct and Discipline Challenges, by Paul Falcone. This book comes highly recommended because it takes us inside the meetings we’ve always wondered about such as performance review discussions, personal hygiene and termination meetings. You will learn how managers handle these tough conversations and problems and how to keep the peace at the same time. Dwyer, Dale, J.; Caldwell, Sheri A. (2011) Got a Minute? The 9 Lessons Every HR Professional Must Learn to Be Successful. Society for Human Resource Management. 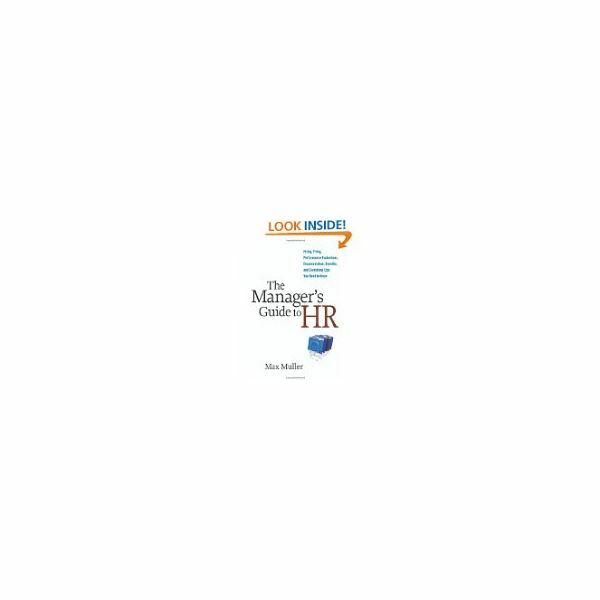 Smith, Shaun; Mazin, Rebecca (2004) The HR Answer Book: An Indispensable Guide for Managers and Human Resource Professionals. AMACOM Publishing. Grensing-Pophal, Lin (2010) Human Resource Essentials: Your Guide to Starting and Running the HR Function. Society for Human Resource Management; Second Edition. Collins, Allan (2011) Unwritten Rules: 21 Secrets for Attaining Awesome Career Success in Human Resources. Success in HR Publishing. Falcone, Paul. 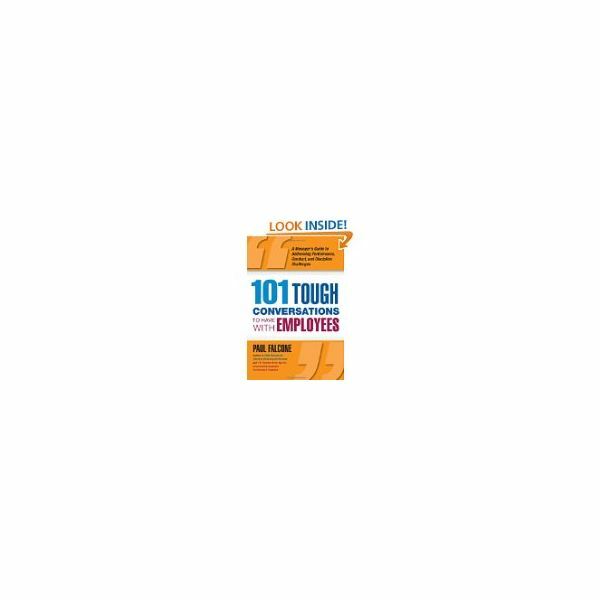 (2009) 101 Tough Conversations to Have with Employees: A Manager’s Guide to Addressing Performance, Conduct and Discipline Challenges. AMACOM Publishing; First Edition. Muller, Max (2009) The Manager’s Guide to HR: Hiring, Firing, Performance Evaluations, Documentation, Benefits and Everything Else You Need to Know. AMACOM Publishing. 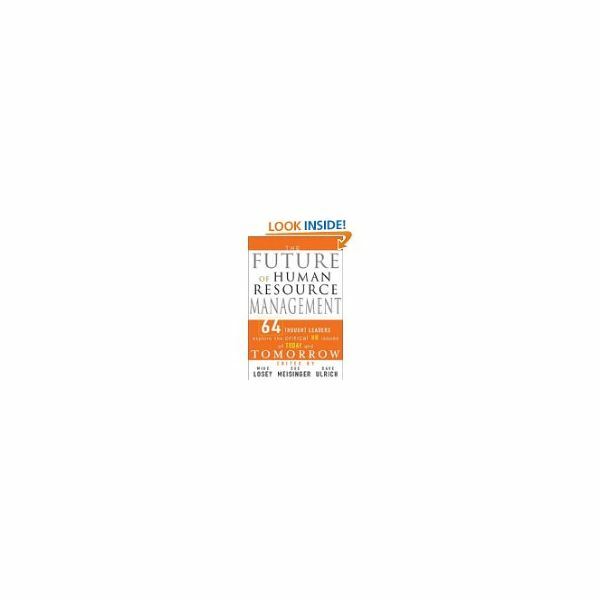 Losy, Mike; Meisinger, Sue; Ulrich, Dave (2005) The Future of Human Resource Management: 64 Thought Leaders Explore the Critical HR Issues of Today and Tomorrow. Wiley; First Edition. Collins, Allan (2010) Best Kept HR Secrets: 400 Most Powerful Tips for Thriving at Work, Making Yourself Indispensable & Attaining Outrageous Success In Human Resources. Success in HR Publishing. Mitchell, Barbara (2008) The Essential HR Handbook: A Quick and Handy Resource for Any Manager or HR Professional. Career Press. Sartain, Libby; Finney, Marth I. (2003) HR From the Heart: Inspiring Stories and Strategies for Building the People Side of Great Business. AMACOM Publishing; Third Edition.